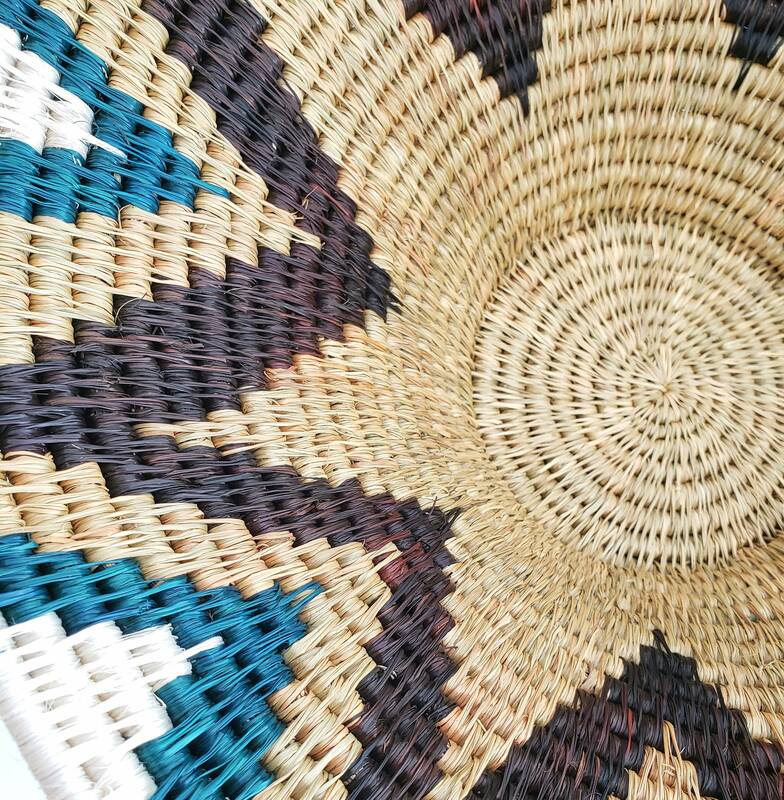 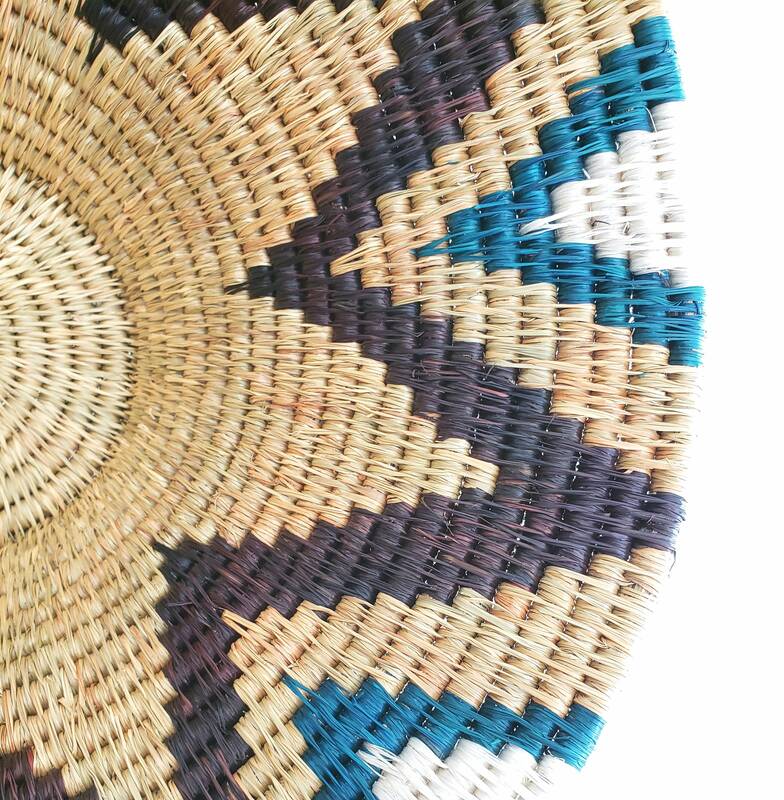 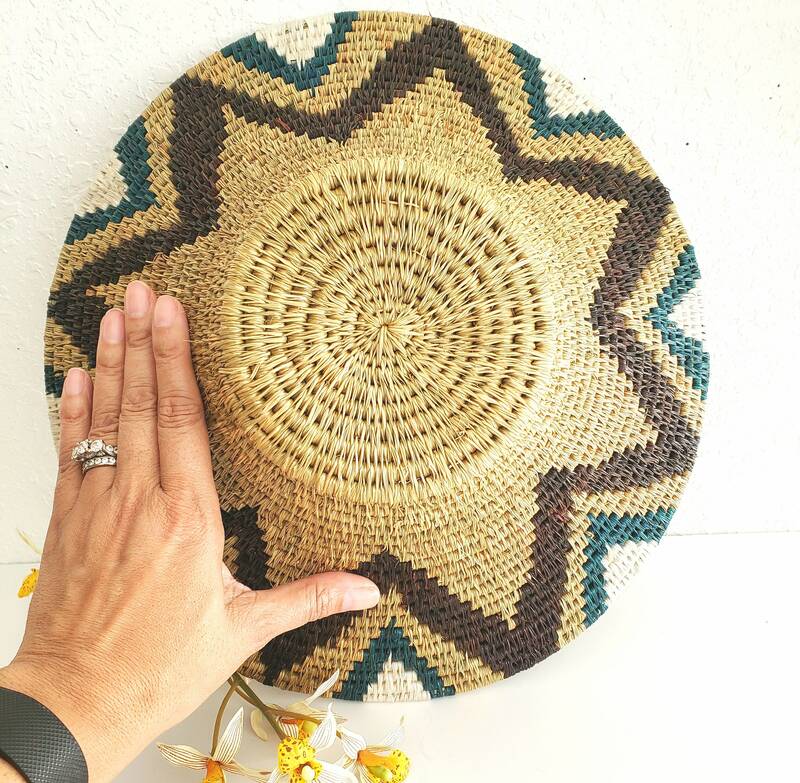 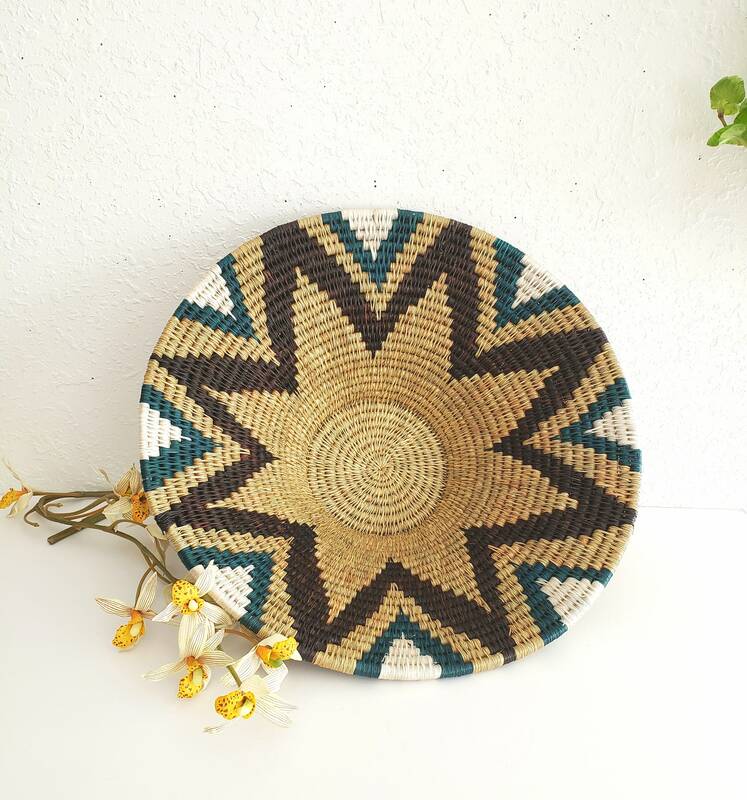 Beautiful large woven African basket. 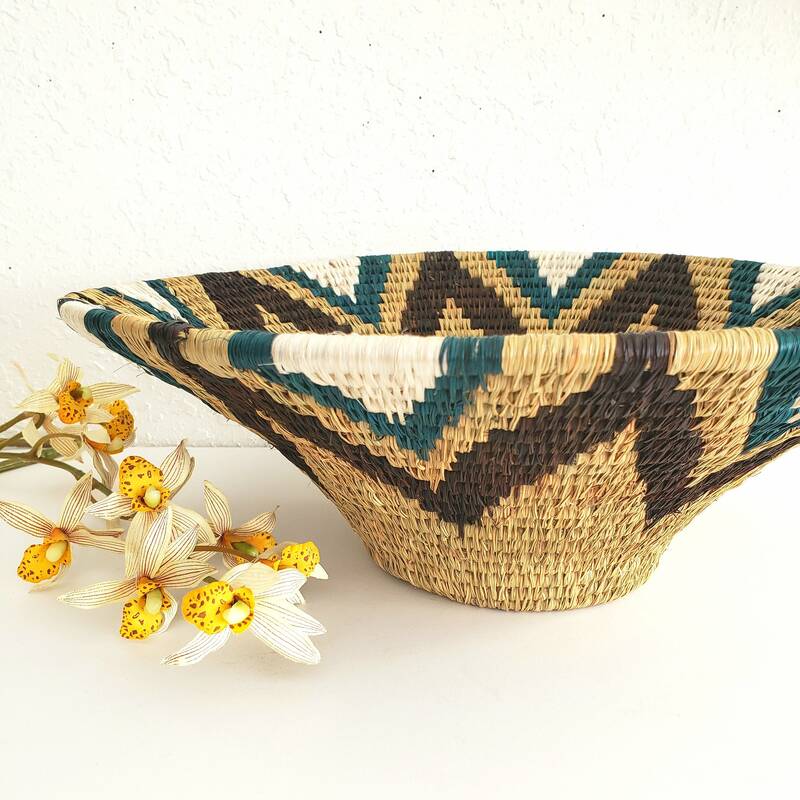 Vibrant colors and very wide opening. 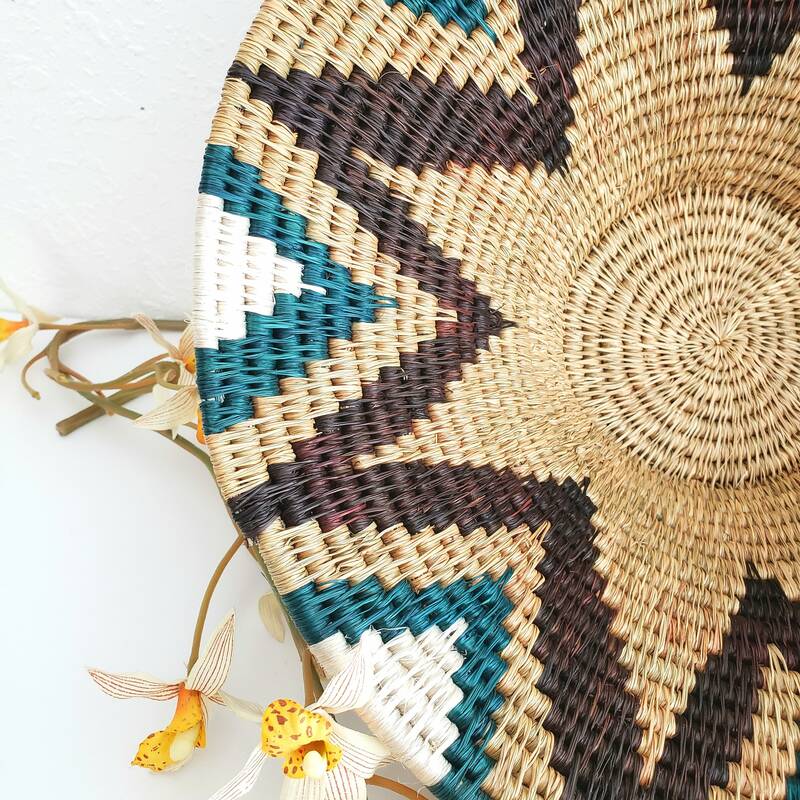 This basket can be used as storage for your favorite trinkets or as a centerpiece.